Why I flee from the Country – Nnamdi Kanu Reveals – Pioneer of the Indigenous People of Biafra, IPOB, Mazi Nnamdi Kanu, has reacted to reactions of fleeing amid the 2017 military attack of his home in Afara Ibeku, Umuahia, Abia State by the Nigerian armed force & the claim of forsaking his supporter in the nation. It could be reviewed that Kanu depart the nation after the military attacked his home on September fourteenth, 2017, amid the military exercise code-named; “Operation Python Dance II”. 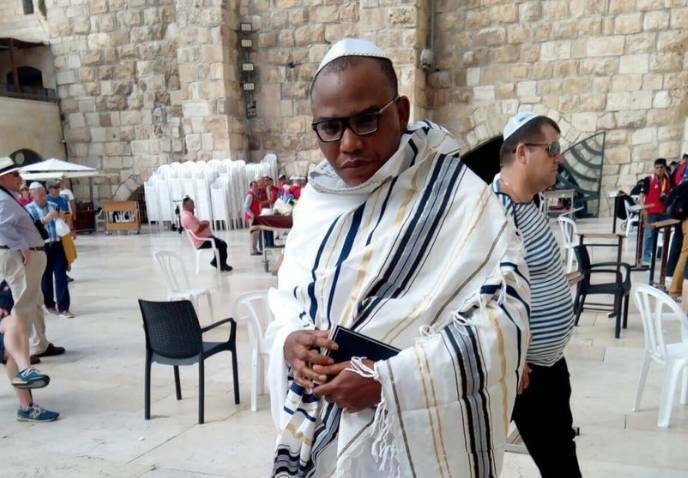 After the improvement, Kanu later reemerged couple of months later in Israel which mix-up contentions as a few Nigerians think that since Kanu is the pioneer of IPOB, he ought to have confronted the military as opposed to fleeing. Kanu, responding amid his live radio announcement from London on Saturday said he fled in light of the fact that he didn’t have any ammunition to confront equipped military men who raged his home. As indicated by him, he escape to Israel since it is the most secure place for him to remain alive & accomplish Biafra republic.